One year ago, a woman who was cherished by two men was murdered. 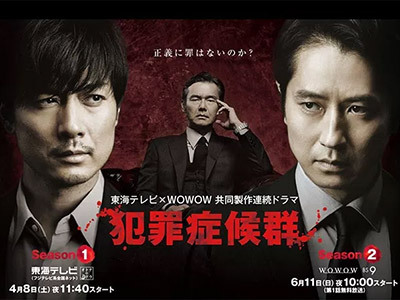 Former detective Muto Takashi (Tamayama Tetsuji) is her older brother who had loved her as if he were her father after their parents died young. His good friend Kaburagi Wataru (Tanihara Shosuke) was actually her boyfriend. Because the culprit was underaged, he is rehabilitated without being punished for his crime. Despite being tormented by a desire for vengeance, Muto does not choose to take revenge on the juvenile but makes the decision to continue pursuing crime to prevent further loss of lives like his sister. It wasn't bad until the final case involving the little boy who was kidnapped and murdered, that crossed the line for me, won't be watching season 2. Heads up for Mimura fans, she only appears in the first three episodes. Enjoyed watching Watabe Atsuro in this. Season 2 edges season 1.